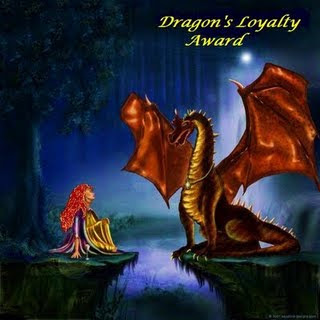 One of my best friends online and in the blogging world, Ryan at Wordsmithonia, has given me this beautiful award! Thank you so much Ryan...I love fantasy and mythical creatures! Ryan is a tremendously talented blogger...please be sure to drop by his blog and give him a shout. Please be sure to head over to their blogs and make friends...they have some great things to say! Thank you so much for this lovely award! I will accept it with honor!